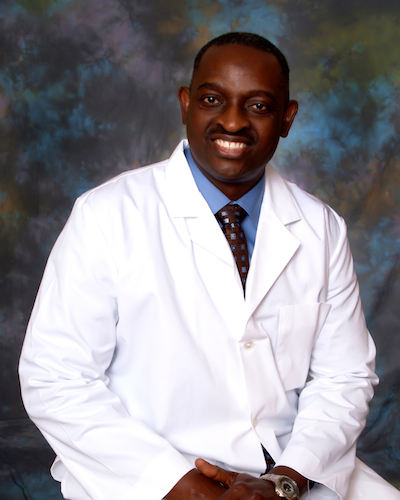 Doctors Unlimited SC is a Christian based primary care Internal Medicine Practice founded in 2010 by Otuonye E. Onyewuchi, MD, MPH, a board-certified physician in Internal and Preventive Medicine. The company currently offers: Comprehensive Ambulatory Care Services (out-patient primary Care services) at its IntegraCare Clinic, along with Students Education Services (Clinical Rotations for MDs, NPs, PAs, RNs, & MAs), and Hospitalist Services at affiliated area hospitals. The company has current affiliation with and opportunity to refer patients to Advocate Trinity, St. Bernard Hospital and University of Chicago. Our group of practitioners, including physicians (MDs), nurse practitioners (NPs), and physician assistants (PAs) of different backgrounds and specializations, serve all patients from Chicago’s inner-city and suburbs according to their medical needs. At its IntegraCare Clinic, Doctors Unlimited SC provides comprehensive out-patient clinical services to ages ten (10) years old and above. Our practitioners partner with our patients’ other circle of care entities to provide adequate evidence-based medical care with preventive care approach. The goal of our practice is to provide patient-centered quality care, one patient at a time. We aim to facilitate improved functionality, reduce ER visits and shorten hospital stays. Ultimately, we would love to help people extend the time they could stay in their own homes before being sent to the nursing home. We believe that improving functionality (and not age) should be the focus of healthcare, and that quality healthcare is definitely needed to achieve the ultimate desired goal of maintaining wellness. As the practice grows in all areas, we are looking for practitioners and auxiliary healthcare professionals with ‘mission-minded focus’, who desire to contribute to the health and wellness of an inner-city community and its surrounding suburbs. Making qualified and experienced physicians/providers available is the key to effective medical service. Ensuring their availability and readiness to deliver the greatest care possible requires a good incentive-based system under effective leadership with the latest administrative, operations, marketing support systems and training. For hospitals, outpatient clinics and urgent care facilities in need of assistance and interested in innovative methods of reducing length of stay, unnecessary ER visits, and re-hospitalizations, we are ready to partner with and provide affordable physician coverage while maintaining quality care. Doctors Unlimited Service Corporation © 2019. All Rights Reserved.